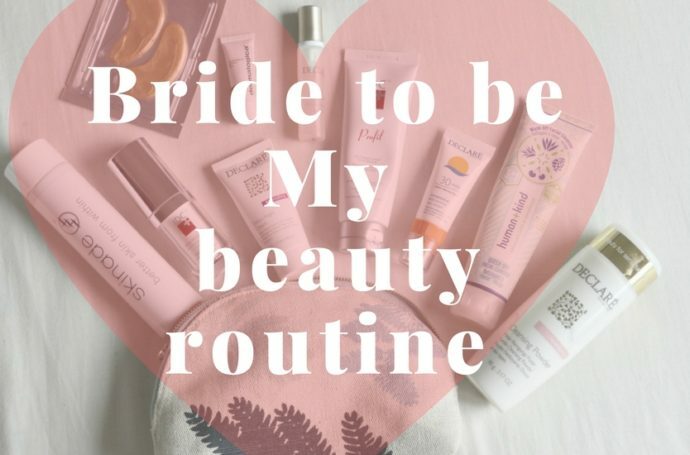 If you are a bride to be then you will have to read this. There are so many things to worry about when organising a wedding, finding your dress, making sure your venue is according to what you have dreamed and of course how you will look on the day. I am sure that you have researched or planning to research about how your hair and make up will look, but have you actually thought about your skin? To look the most beautiful self on the day you will have to make sure you have a flawless and glowing skin. With my wedding being only 3,5 weeks away I am becoming even more aware of my skin and I am trying my best to keep it in its best condition as possible. Obviously, this cannot be achieved without the help of some of my favourite beauty products. 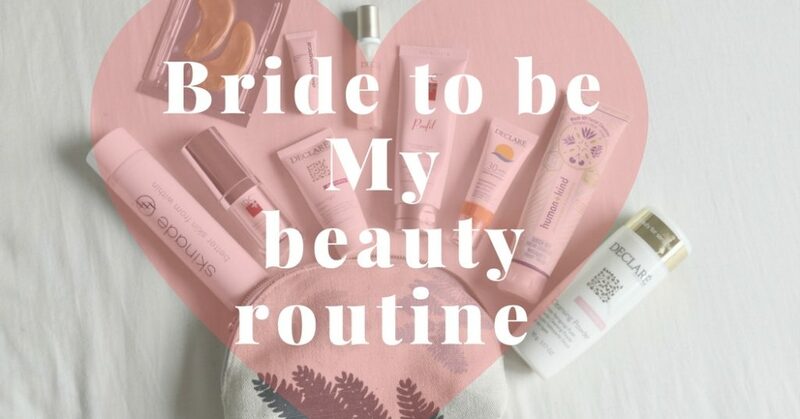 Here are my 11 tips for a glowing skin for your wedding day. A glowing skin means a healthy diet. I never smoked, I don’t drink much, just your occasional drink on a Saturday night, I try my best to eat a balanced diet and I exercise. Having a healthy skin starts from within. For the past few months I have been helping my skin be at its best even more, and so I started my Skinade journey in early July. I am happy to say that the vitamins and collagen that has in it, have helped my skin look its best. Also, the fact that it has L-Lysine has also helped my cold sore that used to get from stress. 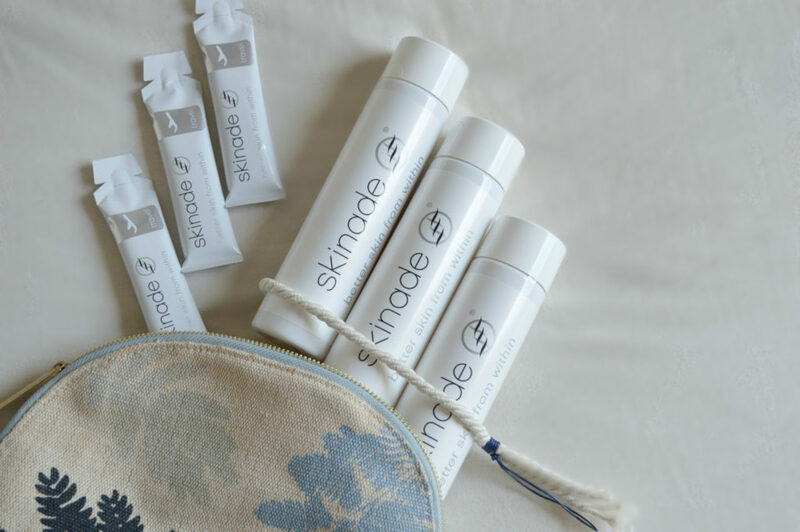 Skinade is a drinkable collagen supplement which you can take each day after breakfast, it has a pleasant fruity taste and it also comes in travel sachets that you can take with you when going away. Make sure you drink it an hour or more after you had your coffee, as it seems that coffee slows down the vitamins and collagen. The first thing for a healthy looking and vibrant skin is to deep cleanse it and of course, remove your make up every evening. 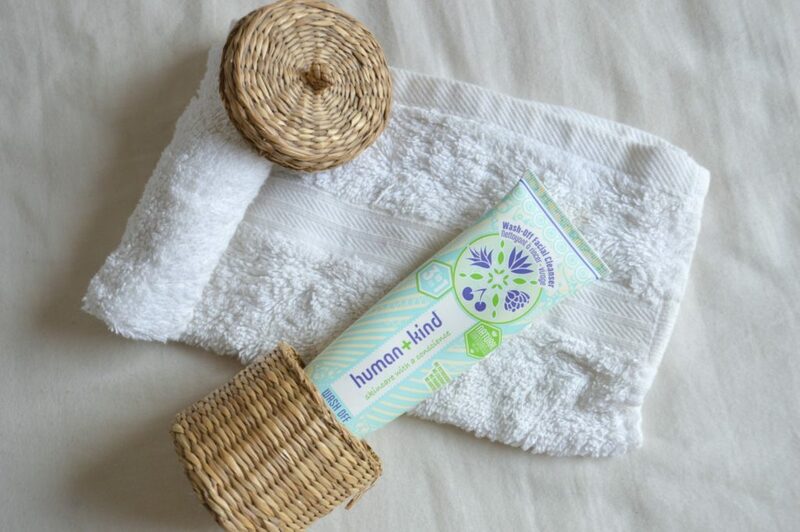 For the past couple of months, I have been hooked the Human and Kind wash off facial cleanser. This natural product melts away my make up and I can wash it off with warm water. You simply wet your face apply the creamy face wash and rub it on your skin with soft gentle moments and then you just wash it off with warm water. It also comes with a cleansing cloth for stubborn make up like your mascara. The good thing is that you can reuse the cloth and wash as normal in the washing machine. Dedicate one day of the week, I like to do it on a Friday night where you apply a face mask. I love all type of leave in masks (see more leave in masks here) because they are so easy to use and there is no need to wash off. I love applying my leave-in mask at night time instead of my night cream. 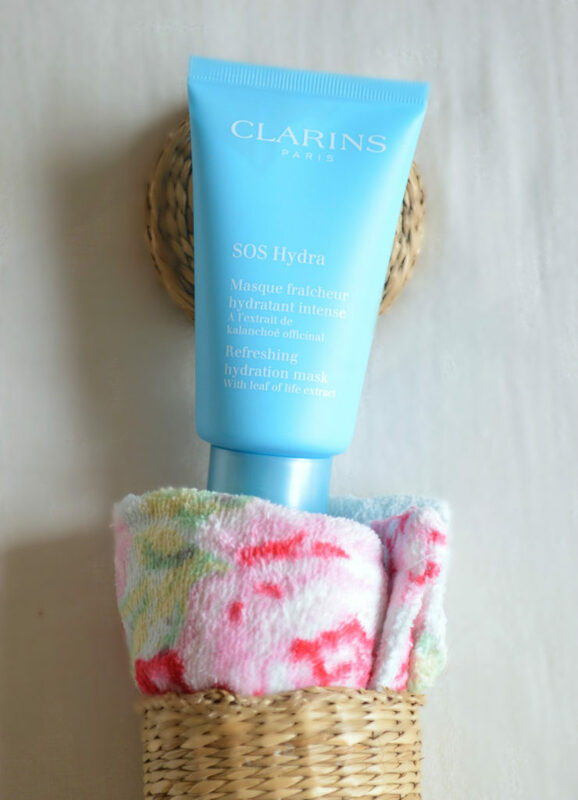 Lately, I have been using the Clarins SOS Hydra Mask which I find leaving my skin soft giving it the extra hydration it needs. Always start your day with clean skin; it is crucial that you wash your face with a face wash before you apply your day cream, serum and SPF. I have made it my habit I always make sure I wash my face with my all time favourite Declare Cleansing Powder. I think that this is my most favourite product by Declare and since I used it I don’t change it, I love how deep in cleanses my face and the fact that it is a powder which means that I can bring it with me when I travel in my hand-luggage. If you are getting close to your 30s then you should really invest in a good serum. I have been using a serum every day a few years now and I have definitely seen its benefits. (Read here why you should use a facial serum). At the moment I am using the Declare Anti Irritation serum, (travel size) and I a love its calming effect on my skin. One of the main aging factors is the sun so it is crucial that to protect our skin and especially our face. I make sure that every morning I apply my SPF and especially during the summer months. The Declare Sun Sensitive 30 SPF is so handy to use and I love the fact that it also comes with an SPF lip balm which I also apply before my lipstick. Not sure if all these steps seem too much for you but I never go to bed if I haven’t cleansed my face and applied my night cream. Some times I may skip my eye cream but my night cream is one of the things that I never forget. 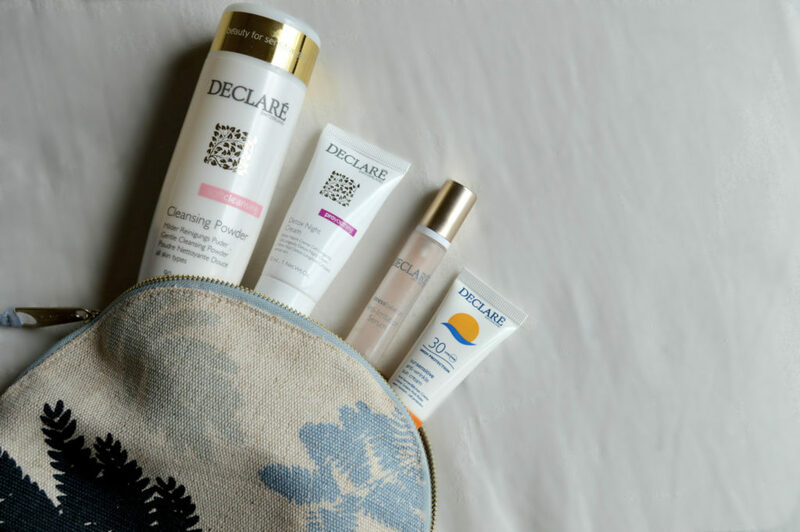 You can probably see that I am a huge fan of Declare and you can also read more review on Declare products here, and the Pro Youthing Detox night cream works really well with my skin. It is perfect for ladies on their late twenties or early thirties that need their night cream to work a little bit extra. I know that this might a little bit too advanced for some, but you have to remember that your neck, décolletage and hands are the few areas that can give away your age, so start from a young age to treat these areas with the love they need. 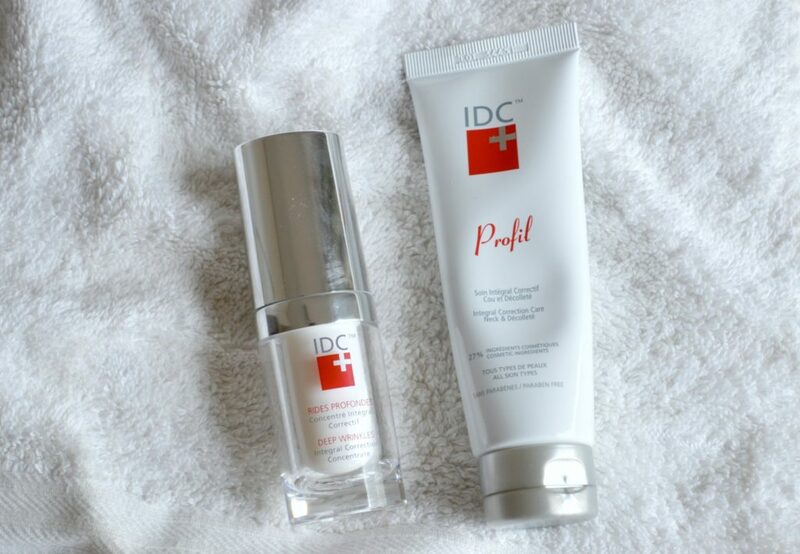 I recently started to use the IDC Profile Neck and décolletage cream to prevent the signs of gaining. If you don’t want to use a cream that is specifically area, you can always use your day cream. Another area that you have to always moisturise is your ears. To make sure that my skin is plum and fresh for my big day, I have started using a target Deep wrinkle cream for the areas of my face that need it most, like crow’s feet and the between the eyes lines. I use my IDC Deep Wrinkle cream after my serum in just these areas. This cream is for more mature skin but I am happy to use it to prevent wrinkles. An eye cream is a must have in my beauty routine, fighting the signs of a crow’s feet and keeping the skin nice and tight around that area is what I am always striving for and I think I have been doing a good job. The main part is to keep that area hydrated and give it the vitamins it needs. 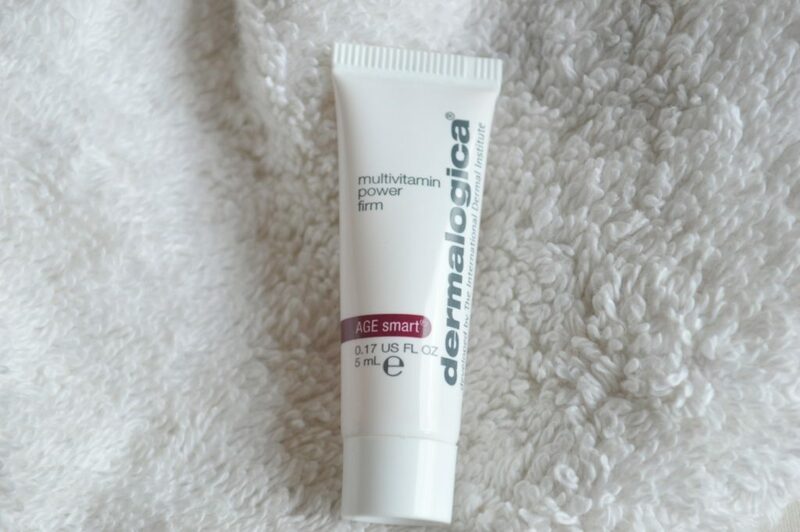 Lately, I have been trying out a sample of the Dermalogica multi vitamin power lift eye cream and I like that its texture is very moisturizing and it actually feel that my skin around my eyes is nourished and refreshed. I tend to apply it at night time when I wear my night cream just to cut down on all morning beauty steps. Dedicate at least one day a week to do an under eye mask, it takes about 30 min and you can enjoy watching your favourite movie while doing so you can be lying down and letting the mask work its magic. The under eye masks that I am using are by Jamela and they are gold crystal collagen under eye masks. So make sure to try it out. So as you as you see when it comes to beauty everything you do helps. If you are not doing any of the above or if you are just following a couple of steps why don’t you try to add a few more to your beauty routine and see what the results will be? I will be looking forward to hearing your progress!